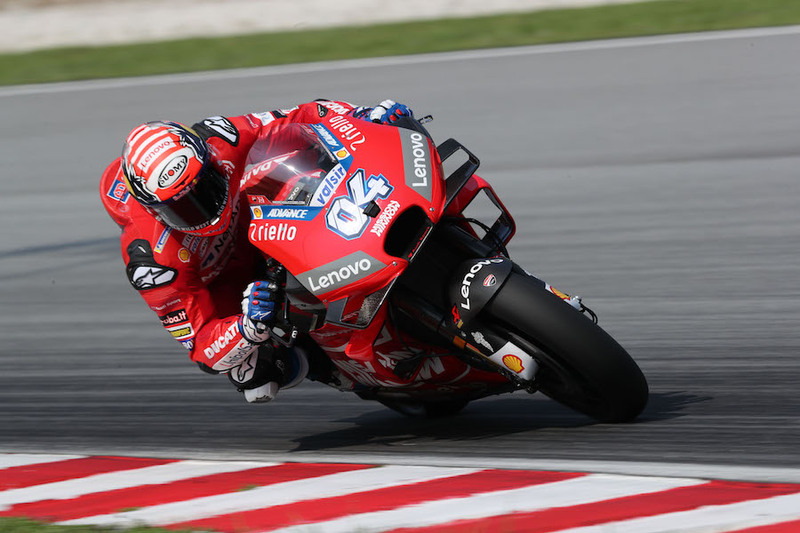 Andrea Dovizioso (Mission Winnow Ducati) has started Day 2 at the Sepang Test as the quickest rider on circuit after setting a 1:59.562 to head LCR Honda Castrol’s Cal Crutchlow by 0.004 seconds. 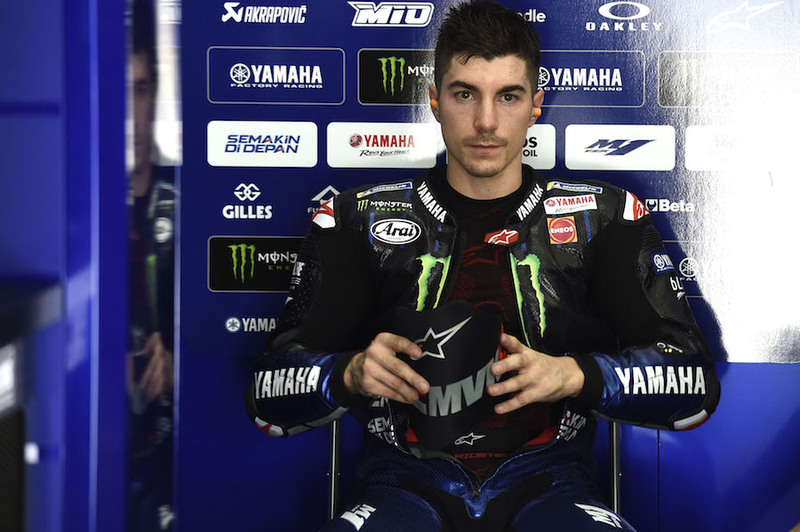 The Italian has completed 31 laps so far on Thursday and while Crutchlow is an impressive P2 on the timesheets, it hasn’t been a straight forward day for the British rider after he crashed at Turn 5 – rider ok. It’s been another promising day for Monster Energy Yamaha MotoGP as both Maverick Viñales and Valentino Rossi are within a second of Dovizioso’s quickest time – 0.035 and 0.063 off respectively. 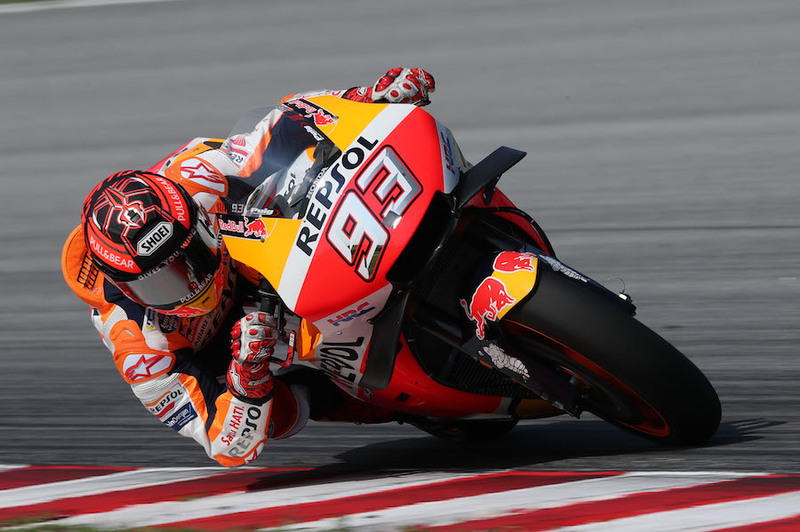 Day one’s fastest man Marc Marquez (Repsol Honda Team) currently sits fifth fastest after completing another 31 laps on that recovering left shoulder, the reigning World Champion 0.228 off Dovi. Sixth is Danilo Petrucci (Mission Winnow Ducati), he’s just 0.283 behind his teammate, with fellow Ducati rider Tito Rabat (Reale Avintia Racing) once again showing great speed on his GP18 – a 1:59.853 his best time so far. Alex Rins (Team Suzuki Ecstar), second fastest on Day 1, is currently eight quickest and the last rider to dip below the 2:00 barrier. 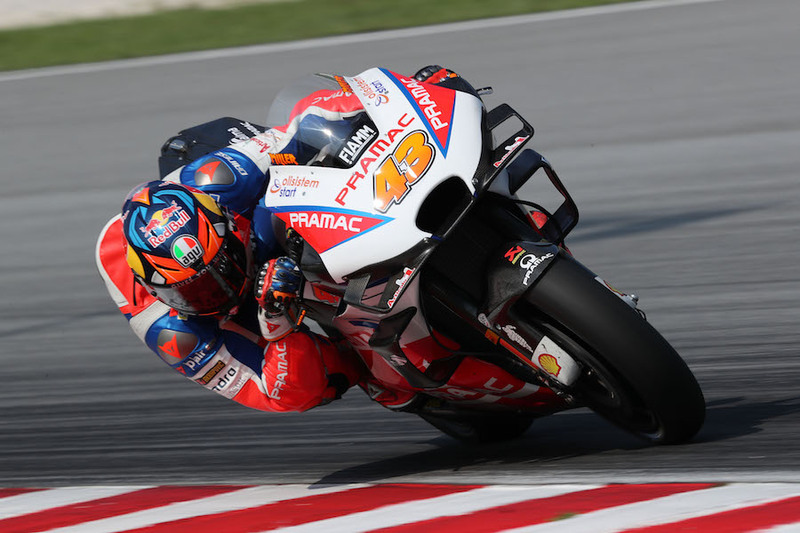 Then comes Jack Miller (Alma Pramac Racing) in ninth, the Australian crashing unhurt before lunch, with Aprilia Racing Team Gresini’s Aleix Espargaro completing a top ten that is split by just 0.539 seconds. The leading rookie is Fabio Quartararo (Petronas Yamaha SRT) in P11, just 0.007 off Espargaro, with Johann Zarco (Red Bull KTM Factory Racing) having a good day so far too – P12 and just 0.584 from the leading Ducati is a good sign for the Frenchman. 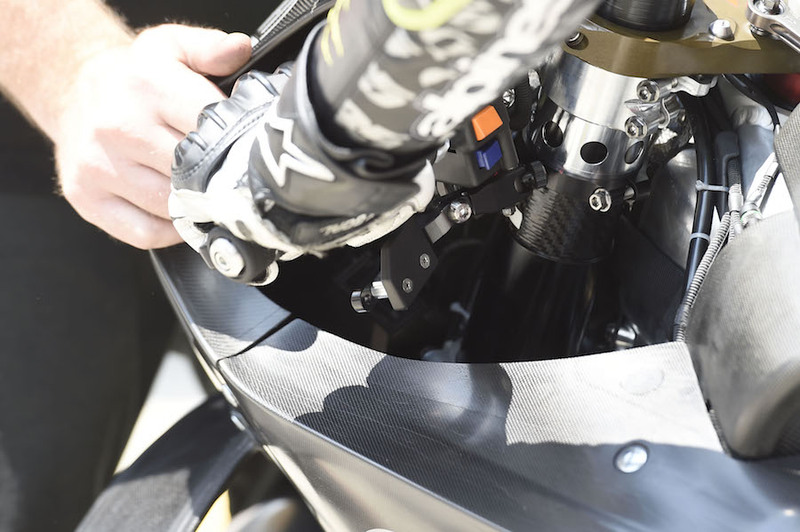 Zarco’s teammate Pol Espargaro, Francesco Bagnaia (Alma Pramac Racing) and Franco Morbidelli (Petronas Yamaha SRT) have all crashed on Day 2 as well – riders ok. The top 19 riders are currently split by less than a second!